The territory that became Milwaukee fell under British imperial rule in 1763 when Great Britain defeated France in the French and Indian Wars. It became a territory of the United States after American independence. Neither the British nor Americans settled the area at the time. The small fur-trading community remained predominantly French and Indian until pioneers from New England, New York, and the Mid-Atlantic states began settling the area in the 1830s and 1840s. A small British migration then came to merge with what came to be called the “Yankee-Yorker” identity in Milwaukee, defined both as British immigrants–people from England, Scotland, and Wales–and these Northeastern Protestant migrants. Yankee-Yorkers inundated Milwaukee and other Midwestern frontier towns in search of land to farm and assorted business opportunities following completion of the Erie Canal’s western terminus. Many Yankee-Yorker residents of British ancestry contributed to Milwaukee’s social, political, and economic development from the mid-nineteenth to early-twentieth centuries, though by the time of their arrival in Wisconsin, for most, the British roots were several generations in the past. Exceptions included Scottish immigrant and financier Alexander Mitchell and city treasurer and son of English immigrants Charles Whitnall, who applied a British cultural sensibility to his designs for Milwaukee County’s decentralized parks system and served the city and county for almost forty years as an urban planner. New British immigrants played a relatively minor role in the city’s overall advancement due to their small population. While some nineteenth century associations supported British migration to Wisconsin, including the Potters’ Joint-Stock Emigration Society & Savings Fund and the British Temperance Emigration Society, these organizations limited their settlements to Marquette and Columbia counties. EPISCOPAL church congregations, branches of the Anglican church, have been prominent in the city since its founding. 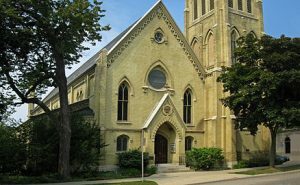 The Episcopal church has published a serialized magazine in Milwaukee since 1899, The Living Church, which advocates Anglo-Catholic ideas and traditions pioneered in Wisconsin. 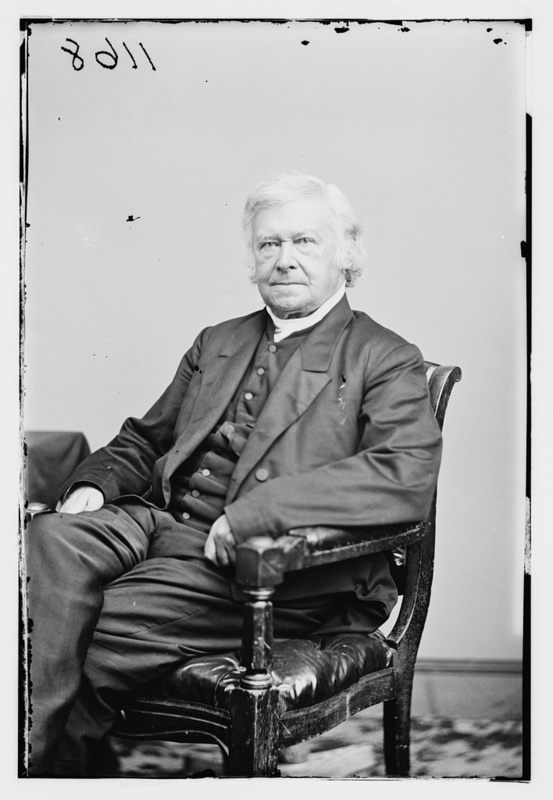 The Episcopal Church’s first missionary bishop, David Jackson Kemper, established WAUKESHA COUNTY’s NASHOTAH House as a missionary school in 1842 while overseeing the church’s Midwestern development. In addition, Bishops William Armitage and Edward Welles helped establish one of the nation’s first Episcopal cathedrals in Yankee Hill, the Cathedral Church of All Saints, in the late 1800s. St. Paul’s Episcopal Church, completed in 1884, houses Milwaukee’s oldest Episcopal parish (est. 1838). ^ “Wisconsin Stories Interactive Timeline,” Wisconsin Historical Society, accessed November 4, 2013, http://www.wisconsinhistory.org/spotlight/timeline.asp. ^ John Gurda, The Making of Milwaukee, 3rd edition (Milwaukee: Milwaukee County Historical Society, 2008), 25. ^ Katherine Nicole Kaliszewski, “Socialism and City Planning: The Work of Charles Whitnall in Early Twentieth Century Milwaukee, Wisconsin” (Master’s thesis, Cornell University, 2013), 27. ^ Gurda, The Making of Milwaukee, 103. ^ William E. Van Vugt, “British and British Americans (English, Scots, Scots Irish, and Welsh), to 1870,” in Immigrants in American History: Arrival, Adaptation, and Integration, vol. 1, ed. Elliott Robert Barkan (Santa Barbara, CA: ABC-Clio, 2013), 28; Wisconsin Historical Society, “Term: English Immigrants in Wisconsin,” Dictionary of Wisconsin History, accessed October 26, 2013, http://www.wisconsinhistory.org/dictionary/index.asp?action=view&term_id=11081&term_type_id=1&term_type_text=people&letter=E. ^ Thomas C. Reeves, “The Anglo-Catholic Movement in Wisconsin,” The Wisconsin Magazine of History 68, no. 3 (Spring 1985): 188. ^ Bobby Tanzilo, “A Guide to Milwaukee’s Architectural Landmarks,” OnMilwaukee.com, accessed November 4, 2013. Kaliszewski, Katherine Nicole. “Socialism and City Planning: The Work of Charles Whitnall in Early Twentieth Century Milwaukee, Wisconsin.” Master’s thesis, Cornell University, 2013. Reeves, Thomas C. “The Anglo-Catholic Movement in Wisconsin.” The Wisconsin Historical Review 68, no. 3 (Spring, 1985): 188-198.